In his keynote speech at the recent Negotiator Conference, Professor Andrew Baum sparked debate throughout the property industry. 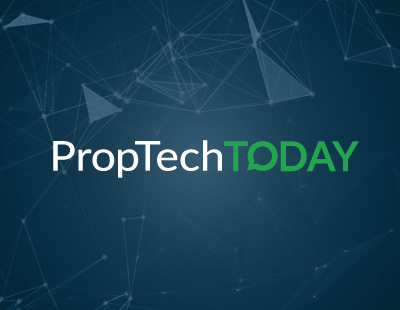 Baum’s speech, which began with a rapid fire overview of PropTech’s evolution, contained a series of key statements which have been much-discussed in the days since. For those who are not aware of Professor Andrew Baum, he lectures in real estate at Said Business School, University of Oxford, and is the author of PropTech 3.0, the first academic report into the PropTech industry. This has been the headline-grabber from Baum’s speech, already ruffling more than a few feathers around the industry. I’m not surprised. Valuation has long been in the crosshairs of technology, no offering has yet to be introduced in which AI valuations have been executed with consistent accuracy. I am certain that a thoroughbred Automated Valuation Model (AVM) will soon be created, a model which can accurately value property time and time again without the need for human input. The very nature of AVMs means that whoever creates the best algorithm will have the best AVM. Whoever comes up with the most reliable and accurate AVM will become the market leader, they will become ubiquitous with the concept of property valuation, and their brand name will become a verb. Most importantly, there will be no opportunity for competition because who is ever going to choose the second best and second most accurate AVM? 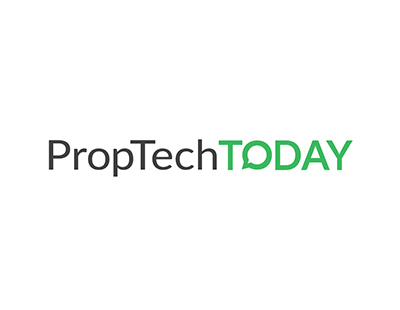 Professor Baum also states that many property professionals remain unaware of the fact that they stand at the foot of PropTech’s third movement. The first, he says, came between 1995 and 2005 and paved the way for the likes of Zoopla, Rightmove, et al. The second movement, which has been happening for the past decade, has seen old business models challenged and, in a few cases, usurped by digital-first alternatives. Airbnb is the prime example of this. The third movement, at the start of which we currently find ourselves, will see us ‘co-living and co-working in smart homes in smart cities, being chauffeured by driverless smart cars and, it seems, not going out that much as everything is delivered to us by drone’. Baum expects this movement to be hit full stride somewhere between 2025-2030. It’s interesting to me that Baum does not only remark that this third movement is already taking shape, but that he makes the point of stating that many professionals remain unaware that we stand at such a moment in time. The implication here, I believe, is, that by not realising exactly what is happening, professionals are failing to take necessary preparations for this third movement of PropTech. As I am, Baum is an advocate for timely preparation and planning. When the subject at hand is technology, it is not enough to be clued-up on current innovations, we must also have a good understanding of what is coming over the horizon, inventions which are yet to be invented. Not only should we concern ourselves with what is possible, but also what is probable. Again, for many property professionals who, until recently, were far removed from the world of technology and would never before have been labelled as technologists, implanting in oneself the cyclical habit of staying ahead of the innovation curve is much easier said than done, requiring a very conscious effort in education. It will not happen by accident or proxy, and, Baum suggests, very few are yet doing what needs to be done. With PropTech’s third movement set as our long-term destination, Baum states that another ongoing challenge is to stay up to speed with the progress of FinTech which, today, remains considerably more advanced than PropTech. Despite around £39 billion having been invested in PropTech to date, giving life to an estimated 8,000 companies around the globe, the industry is yet to see quite the same level of profound disruption that global finance has. Major banks and big money institutions have seen technology truly challenge their once comfortable place in the economy. In property, we have certainly seen big, traditional firms forced to learn how to navigate a newly digital ecosystem, making significant changes to best practice and priorities, but we are yet to see any of them look as if they could be knocked from their position. Property and finance are so symbiotically intertwined that, unless PropTech finds a way of keeping pace, it could fall so far behind as to be rendered largely ineffective in helping shape tomorrow’s economy, instead left with nothing to do but react to the actions of big finance. This one is hardly a surprise, but it’s still interesting that Baum took the time to mention it during his speech. Given the magnitude of Jeff Bezos’ ambition-bordering-on-hubris, it makes sense that he would have an eye on property. Amazon has the power and capital to enter more or less any industry in any market that it chooses. It makes sense that it would, sooner or later, start to focus on the world’s most valuable asset class. As to the exact nature of Amazon’s property aspirations, I wouldn’t like to comment yet, but one huge barrier to PropTech adoption is trust. Amazon already has a huge amount of consumer trust, perhaps more than any other retailer in the world. We trust they will deliver birthday presents on time, mainly because they always do; we trust them to offer the best price available on goods, mainly because they always do; and, increasingly, we trust their delivery drivers to enter the lobbies and porches of our homes, place packages gently down, turn around and leave. Perhaps more importantly, we trust that they put the customer first, that their main aim is to give consumers the best possible deal. When it comes to entering the property industry, this level of trust is rarely enjoyed and promises to enable them to genuinely disrupt in any way they choose. External disruption like this is another characteristic of PropTech’s third movement and just one more thing that industry professionals need to be preparing for because, if we wait until Amazon’s offering comes to market, it will already be too late. This guy needs to be paid on commission after his prophecies come true. Universities be next to go to tech. Who needs a lecturer wen you have you tube.